As children, Ida loves looking after her younger sister, Nora, but when their beloved father dies in 1927, everything changes. The two girls move in with their grandmother who is particularly encouraging of Nora’s musical talent. In Nora, she sees herself, the artist she was never allowed to be. As Nora follows her dream of a brilliant musical career, Ida takes a job as a nanny and their lives become quite separate. The two sisters are reunited as Nora’s life takes an unwelcome direction and she finds herself isolated in the Tasmanian bush saddled with a husband and children. Embittered and resentful about her lost chances, Nora welcomes Ida’s help with her chaotic household. When Ida marries Len, a reliable and good man, she hopes her dreams of a family of her own will be fulfilled. Unfortunately it becomes clear that this is never likely to happen. In Ida’s eyes, Nora possesses everything in life that could possibly matter yet she values none of it. Set in rural Tasmania over a span of seventy years, the strengths and flaws of motherhood are revealed through the mercurial relationship of these two very different sisters, Ida and Nora. The Sisters’ Song speaks of dreams, children and family, all entwined with a musical thread that binds them together. A true labour of love and years in the making, the assured debut novel from Louise Allan, The Sisters’ Song, is a commanding tale set in the beautiful surrounds of Tasmania. The Sisters’ Song carefully and comprehensively chronicles the lives of Ida and Nora, who are sisters yet disparate individuals. Louise Allan is a cultivated voice to emerge in the Australian fiction field with her pensive historical fiction offering. The emotional pull of The Sisters’ Song is strong and I felt from the very beginning, to the close of the novel that I completely inhabited every aspect of life I shared with Ida and Nora. The Sisters’ Song introduces two memorable figures, Ida and Nora, sisters living in Tasmania. In the year 1926, Ida and Nora’s lives take a dramatic change when their beloved father dies. With their mother emotionally distraught, the girls are shipped off to their grandmother. It is a positive change for the two young girls, as Nora’s aptitude for music and song is able to flourish under the guidance of their grandmother. Meanwhile, Ida branches out and a career as a nanny beckons. Eventually, the two sisters go their separate ways, following their own hopes and dreams of careers, love and family. Some years later, the sisters reconnect when Nora is found in the heart of the Tasmanian bush, married and with a newborn to care for. It seems all Nora’s dreams have fallen in a heap and it is up to big sister Ida to rescue Nora, before she falls into further despair. What follows is the powerful story, spanning decades, as Ida and Nora both attempt to come to grips with a life neither envisioned for themselves. I have been looking forward to the release of The Sisters’ Song for some time, as I have closely followed debut novelist Louise Allan on her heartfelt journey from medical practitioner and mother, to a writer. I am so glad she made this career transition, as the result of her efforts in the historical fiction field is simply marvellous. Allan’s first novel, The Sisters’ Song, lived up to its premise of ‘read it, love it’. Definitely take my word for it, The Sister’s Song is a truly impeccable piece of literature, which I believe will leave its stain on the Australian historical fiction genre. The initial appeal of The Sisters’ Song for me personally was the setting. I fell in love with Tasmania after I visited the state in 2010. Allan took me to the echoes of yesteryear, in one of my favourite parts of our country. She conveys the natural beauty and wilds of the Tasmanian bush, the mountains, as well as the tranquility of this part of the world. As this is a book that spans over 70 years, opening in 1926, Allan has worked hard to ensure her period detail is precise and evocative. There is no faulting Allan’s level of historical research, which has culminated in the production of a very authentic tale. Sisterhood and the bonds of family are the overarching themes of this debut novel. For those who do not have firsthand experience in the unique sibling relationship between sisters (like me), Allan helps the reader to better understand the bond sisters share. This includes the positive and negative feelings experienced by sisters, such as the affinity sisters share, the unconditional bond, the desire to help when the other is in need, envy, jealously and sense of protection. Over the course of the unfolding story, we witness the growth and change in the sisterly relationship between Ida and Nora. It is an emotionally heartfelt exploration into sisterhood. Impressively, Allan also explores the complex relations between husbands and wives, mothers and daughters, grandparents and their grandchildren, as well as aunts and their nieces/nephews. It is a real family affair in The Sisters’ Song. Another pressing theme that I took away from reading this novel was the way in which Allan drew the reader’s attention to the inability the women in this novel faced, mostly Nora, in aligning personal dreams with family responsibilities. It is an age old issue that has as much relevance today, as in the past. Allan brings this issue to our attention through the events in The Sisters’ Song and I believe this important theme was explored extremely well by the author. Rounding off The Sisters’ Song are a number of features that added to the appeal of this novel. These key features include a strong emphasis on music, through the aspirations of Nora and eventually her own daughter’s hopes. Then there is Ida’s passion for tending to her gardens, which comes as a therapeutic means to overcome her grief. Photography also has a significant place in The Sisters’ Song. This holds further meaning for the book when the author revealed that the idea for this novel was inspired by her own ancestry and family photographs. It certainly gives the book another fabulous and very personal layer. Readers will be interested to know that the character of Ida is inspired by Allan’s own grandmother, who sadly suffered three miscarriages before she successfully brought two sons into the world. This personal history is closely aligned to Ida’s experiences in The Sisters’ Song and it gives the novel further depth. When I reached the conclusion of The Sisters’ Song, I felt I had fully experienced every single page contained in this novel, which is rare for a speed reader such as myself! I felt uplifted by the book’s lasting message, which offers a poignant commentary on sisterhood. 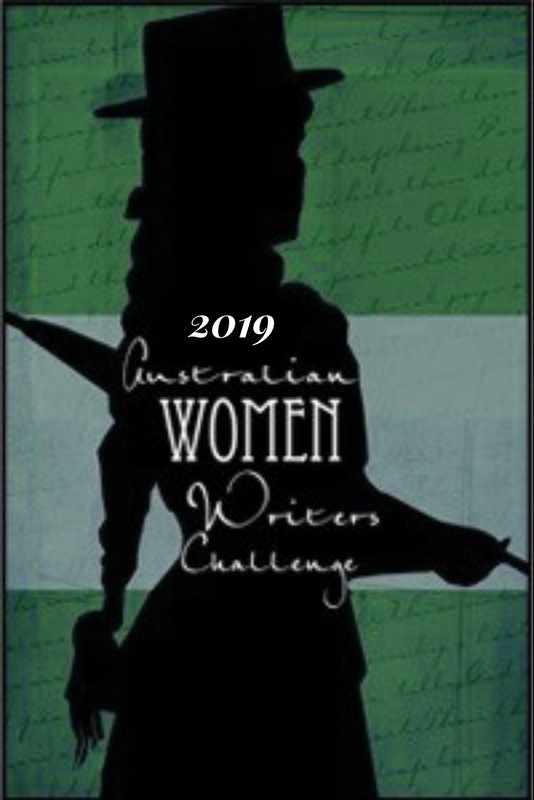 Louise Allan serves up a fine contribution to the Australian historical fiction genre, with her heartfelt rendition to the bonds of sisters and the circle of life. The Sisters’ Song is an outstanding debut and one book that without a doubt lived up to my expectations and more! The Sisters’ Song by Louise Allan is published on January 2nd 2018 by Allen & Unwin. Details on how to purchase the book can be found here. To learn more about the author of The Sisters’ Song, Louise Allan, visit here. *I wish to thank Louise Allan and Allen & Unwin for providing me with a free copy of this book for review purposes. Thank you! As is your own review of this stunning new novel! Great review! Maybe someday i will have the chance to read it. Fantastic Geo, I do hope so!